Request a Free Energy Saver Kit from Energy Trust of Oregon. Answer these questions to receive your customized, free energy saver kit in four to six weeks. The kit includes energy-saving products to help you reduce energy costs right away. Please note that actual energy savings depends on your usage. Energy Trust does not guarantee any particular energy-savings or cost savings results by the installation of the contents of this kit. Receive your energy saving kit by going to this page - click here. 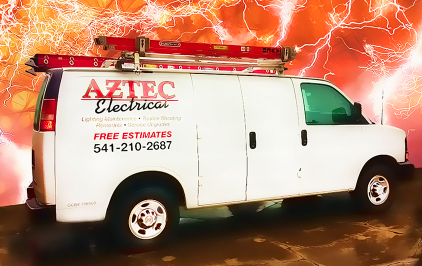 If you have a question about energy savings at your home or business, visit our Aztec Electrical contact form.